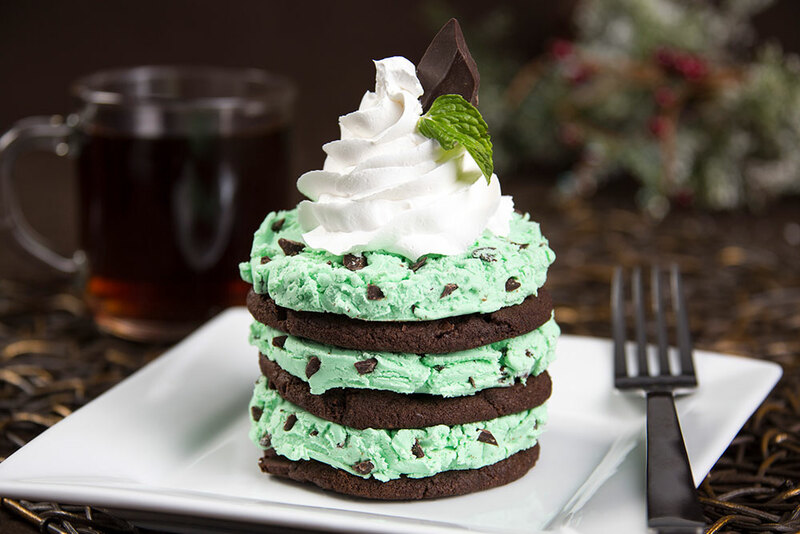 This Mint Chocolate Chip Icebox Cake is perfectly minty and so easy to make! Place 1 - 3” chocolate cookie onto sheet tray. 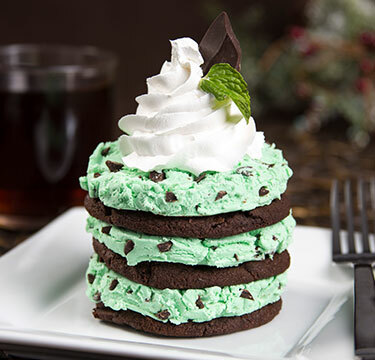 Place one scoop of Blue Bunny® Mint Chocolate Chip Ice cream on top of chocolate cookie. Place another wafer on top of the ice cream and repeat steps two more times ending with the Mint Chocolate Chip Ice Cream on top. Garnish dessert with whipped cream, mini chocolate chips and mint leaf. To serve, pull ice box cake from freezer 5 minutes before serving to soften ice cream.